Apartheid was a system enforcing hatred and racism by law. How did it work? Who were behind it? How did human destruction look like? When and where did it happen and how did it come to an end? 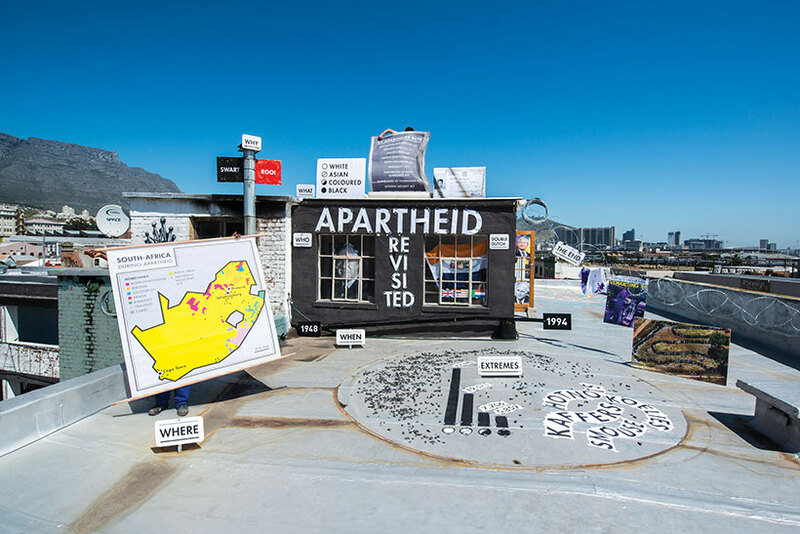 Studio Ruiter Janssen initiated and designed the webapplication Apartheid Revisited. Apartheid Revisited explores the whereabouts of white oppression in South Africa, its European/Dutch roots and the relevance of an 'old' story for today. With divisions between people – walls, borders, exclusion, restrictions – omnipresent the question is: is Apartheid history? Realisation: Studio Ruiter Janssen, ZAM magazine, Afdeling Buitengewone Zaken. De Correspondent wrote a recommendation about the project. This project was realised with the financial support of the Creative Industries Fund, the Netherlands.